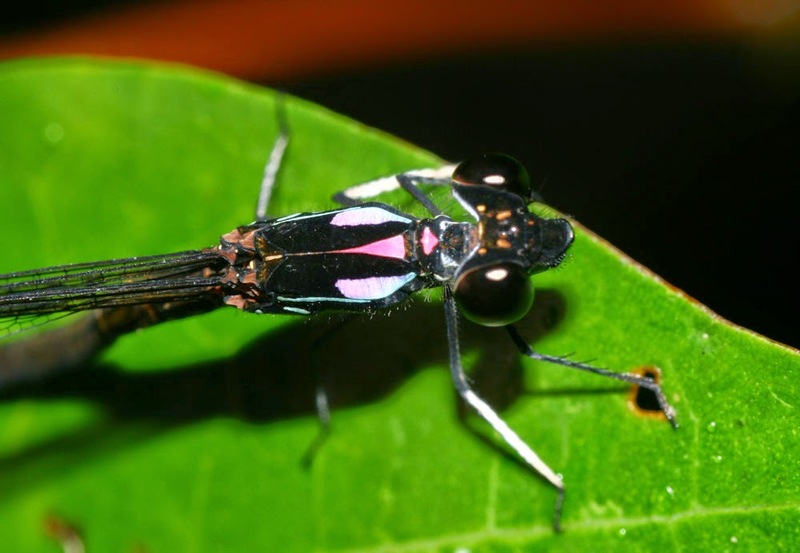 Very similar to H. perforata, they are also black and cobalt-bluish marking damselflies. 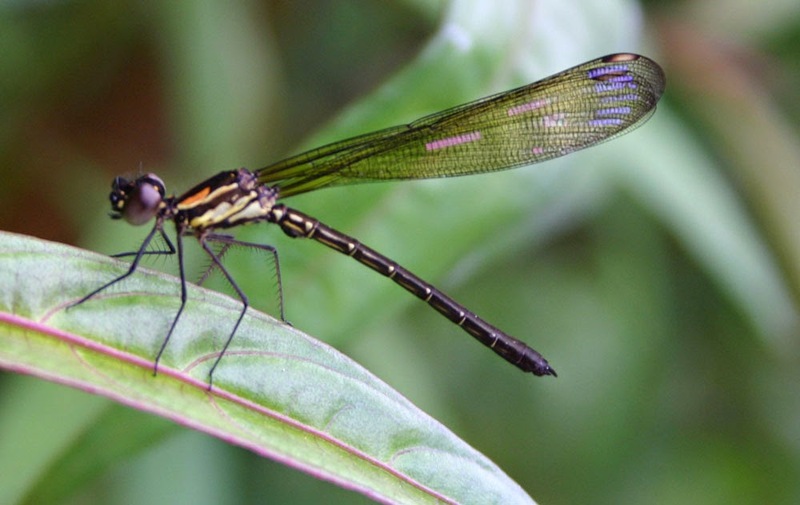 Their wings are narrow like H. perforata but the iridescent areas on the wings are broader. Males of the species are distinct by markings on the synthorax and the abdomen. The abdomen of male is stouter than it of H. perforata, with distinct blue markings on lateral side of each segment. Females have no valuable in identification of the species. Their habitats, territorial and courtship behaviours are very similar to it of H. perforata, but H. b. biforata prefer opened running waters. They are widespread species but distribute locally.